STEP 3: On the right hand side of the page you’ll see a “Page Size” pulldown menu. 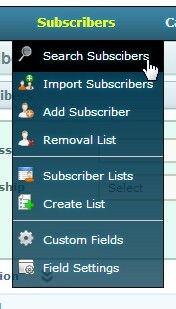 Select “500” from the list of options (This step only applies if you have multiple pages of subscribers that you'd like to remove from your account). STEP 5: You’ll see two downward pointing arrows beside the “Select Action” heading. Click those and you’ll see four options appear. Select “Delete”. 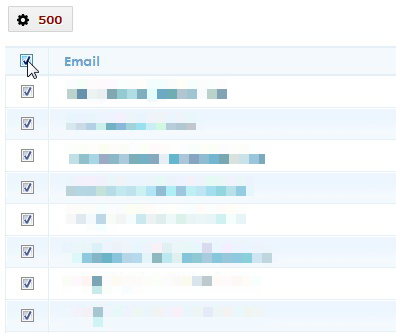 Keep repeating the above Steps 4-5 until all the emails that you no longer want in your account have been deleted. Do the above mentioned process for Unconfirmed and Unsubscribed as well.